Converting data into actionable intelligence. Every mission with a data management component by definition includes analytics, the driver of actionable intelligence. With big data volumes rapidly approaching yottabyte levels, achieving the end game of data management and analytics grows more complex and challenging by the moment. Mission success hinges on in-depth understanding of – and experience with – each step in this process. In the realm of big data, ManTech takes a structured approach to developing systems that deliver results. Our systems comprise robust ingest engines and data lakes, fault-tolerant databases for unstructured data, programming models for processing large data sets, query engines with instrumentation to support robust hunt missions, and analytics that score and comb output for high-value intelligence. Open and extensible Application Programming Interfaces (APIs) support performance to facilitate visualizations that reveal trends, network affiliations and other details that might not be immediately evident. 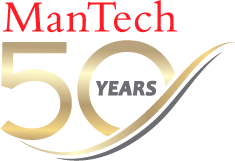 As artificial intelligence (AI) takes the IT world by storm, ManTech is well-positioned to support our customers’ needs. We augment the speed and depth of analytics by leveraging machine learning, neural networks and other forms of AI vital to correlation, regression, prediction, or other automation to support analytical modeling. As data science pushes toward the goal of artificial general intelligence – machines that think like people – neural networks are an important step along the way. Developed to support the specific requirements of our customers, ManTech neural networks leverage rules, environment and intuition to reach “human-like” decisions.